Cocoon your complexion in replenishment with the PAYOT Crème N°2 Cachemire - Anti-Redness Soothing Rich Care, a gentle moisturiser suitable for even hypersensitive skin. 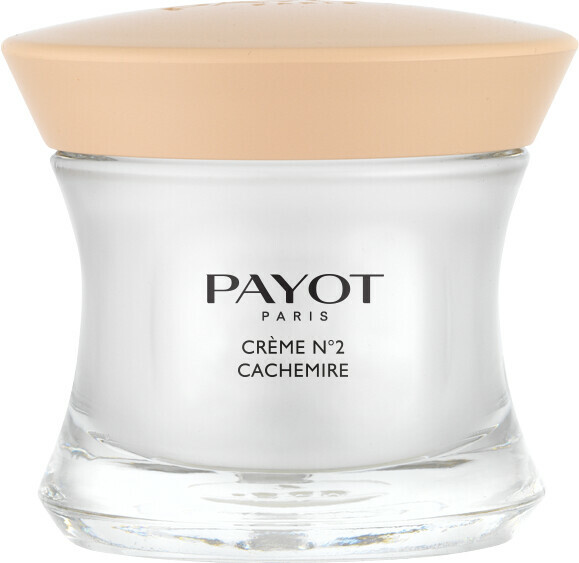 The PAYOT Crème N°2 Cachemire - Anti-Redness Soothing Rich Care will restore and replenish the protective barrier of your skin whilst providing your complexion with adequate hydration and nourishment with its rich oil-in-cream texture. 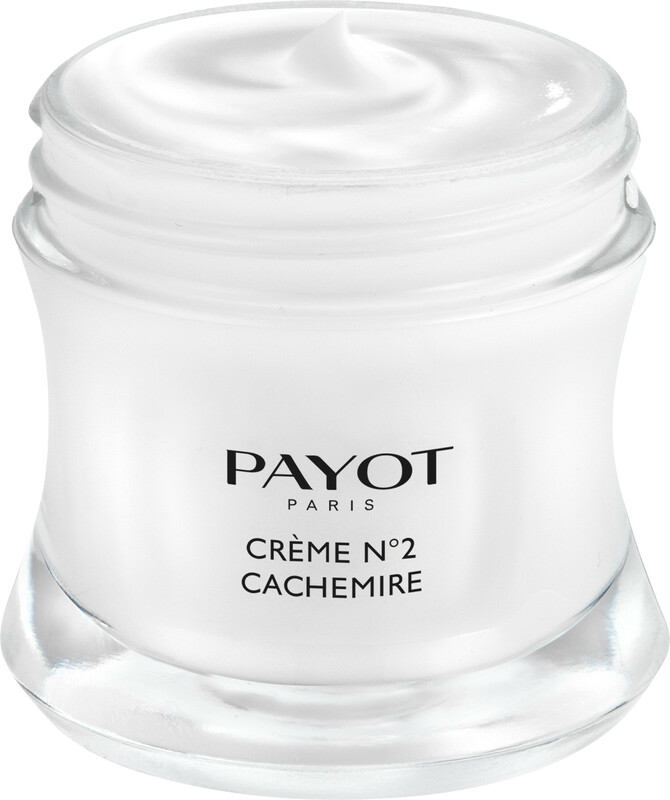 As well as strengthening and protecting your skin, this silky moisturiser calms and reduces redness and irritation on the skin. Formulated to help even the most sensitive skin types regain luminosity, the infusion of boswellia and jasmine flower extracts heal and repair your epidermis, whilst probiotics fight off harmful free radicals that cause cellular damage. Apply to clean skin every morning or evening. AQUA (WATER), DICAPRYLYL CARBONATE, ISODECYL NEOPENTANOATE, PROPYLHEPTYL CAPRYLATE, GLYCERIN, HYDROGENATED VEGETABLE OIL, BUTYLENE GLYCOL, BUTYROSPERMUM PARKII (SHEA) BUTTER, BEHENETH-25, PTFE, SODIUM POLYACRYLATE, BIFIDA FERMENT LYSATE, BOSWELLIA SERRATA RESIN EXTRACT, LECITHIN, CESTRUM LATIFOLIUM LEAF EXTRACT, ALPHA-GLUCAN OLIGOSACCHARIDE, LACTOSE, JOJOBA ESTERS, GLYCINE SOJA (SOYBEAN) OIL, TOCOPHEROL, POLYGLYCERYL-3 BEESWAX, MICROCRYSTALLINE CELLULOSE, CAPRYLYL GLYCOL, POLYGLYCERYL-6 DISTEARATE, 1,2-HEXANEDIOL, PHENETHYL ALCOHOL, XANTHAN GUM, SILICA, CETYL ALCOHOL, TROPOLONE, MILK PROTEIN, PROPANEDIOL, CITRIC ACID, CHLORPHENESIN, PARFUM (FRAGRANCE).